As an artist who explores the effects of transmitting information from one medium to the next and organizes his work into grids, it is hardly surprising that Close engaged with such an unorthodox method of papermaking. 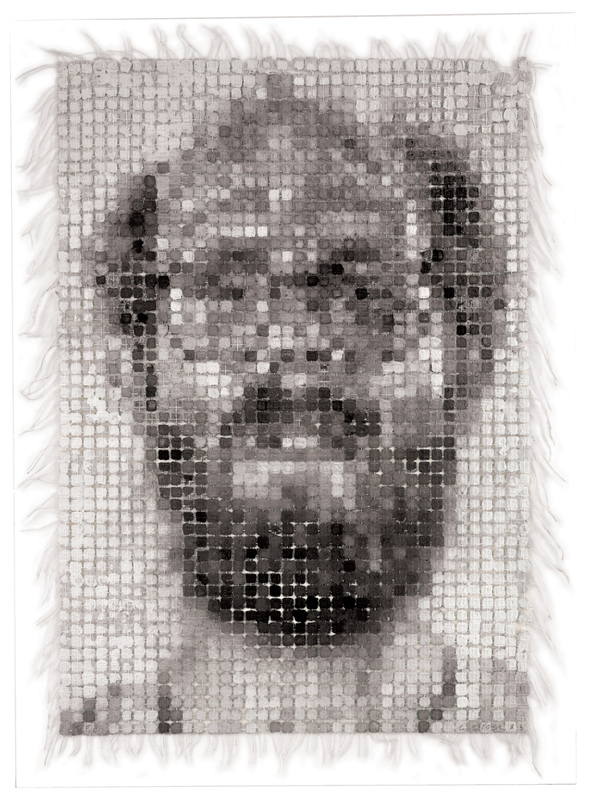 With the help of a black and white reference photograph, each square is individually dyed in a mass of wet pulp and then dried to form a single sheet. Close has criticized other portraitists, especially Rembrandt, for emphasizing small parts of their compositions instead of building a cohesive whole. 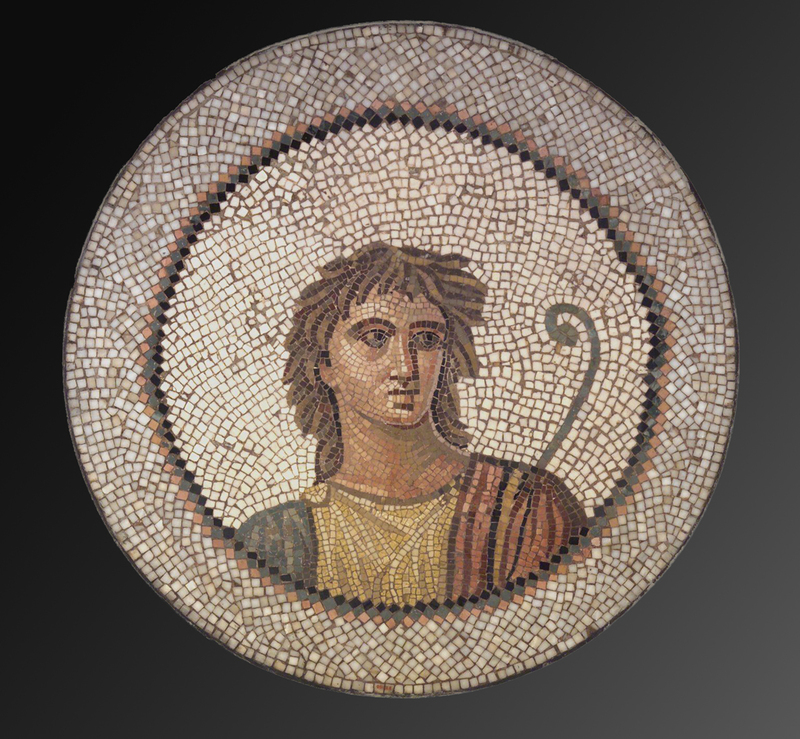 For Close, the Roman works in mosaic solve this problem by giving equal treatment to all parts of the composition. Additionally, he admires the transformation of a humble material into an intricate work of art. In his own words, '[Mosaics] are built out of big, clunky chunks, and I especially like the idea that something can be made out of something else so different and unlikely.' Like the Mosaic of a Male Figure in a Medallion, Close's portrait in handmade paper includes both a miraculous transformation of material and an image with equal emphasis given across the surface of the object.